As a Twitter user, you can discover what kinds of Tweets are most often passed along (a “retweet” or “RT”) and use that insight for your own Twitter use. The same learning opportunity exists for companies using Twitter. 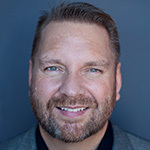 As a Twitter marketer, you can monitor up and coming stories as well as the Twitter users posting them to identify new connections. Retweet someone else’s stories and they may return the favor. Better yet, you may have topics in common and develop business connections. As a blogger or journalist using Twitter, aggregator sites are priceless for finding news items early in their upward trend towards becoming buzz. With limited time and people resources, Twitter is an essential news sourcing tool for journalists, reporters, analysts and bloggers. Building your network on Twitter can be facilitated by finding, posting or retweeting remarkable news. This will stimulate retweets from existing followers providing second level follower exposre and attract even more followers of your own. There are many more reasons for using Twitter post aggregators but let’s get to the tools. Here are 12 of those services with our favorite 5 to start. UPDATE: This service is no longer active. 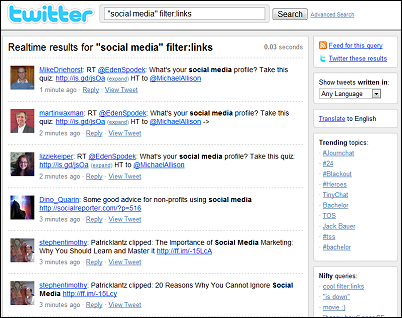 Twitter Search – Probably the most popular way to filter Twitter noise is to use the search tool. Trending topics are displayed and an array of search operators/options allow you to be pretty specific about what you’re looking for. As an example, let’s say I wanted to find: “people in Chicago that asked a question in English about social media in the past 24 hours”. No problem, here you go. You can subscribe to the RSS feed of the search results as well. There are amazing possibilites for connecting with the right people using Twitter search. Twitlinks –UPDATE: This service is no longer active. Aggregates the latest links from the worlds top tech twitter users in a news story format. There are quite a few more, but none that do anything dramatically different than the services listed above. However, there may be some I’ve missed. Are there any unique Twitter aggregation tools that should be added? We’d love to hear about them. 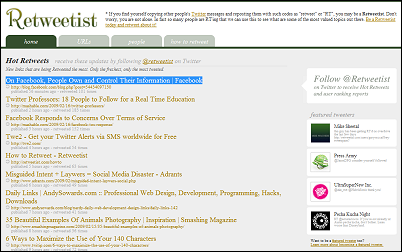 We also like http://www.twittersphere.com – mostly because of it’s short, medium & long term categorization feature. Thanks Jeff, I didn’t have that one on my radar. Appreciated. great stuff… I’m going to have to check out these websites. 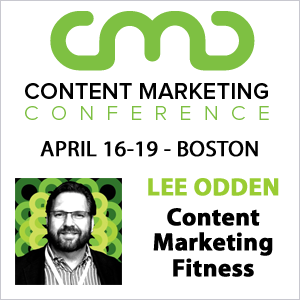 Lee – OMG, what a great post. You’ve given me a lot of great Twitter resources I’ve never heard of before!! Thanks a bunch. Hey – do you find that you get a pretty good amount of traffic after sending out tweets? I’m curious to know if it’s worth the time. And does anyone know of a way to tweet with an audio message introducing yourself? Or would you have to include URL to the audio in your tweet? P.S. Do you use Twitter to build your list? I’d love to hear more about that if you are. That would be a great post! Thank you Traci, glad the Twitter tools are useful to you. They are very useful to me, especially when used creatively. We do get quite a bit of traffic from my Twitter account @leeodden to our blog. To Tweet an audio message, you’d need to link to an audio file. Otherwise, there are services like Bubble Tweet that you can use but others would need to be using the same service to hear the audio or see video within the Twitter interface. Nice list, Lee! Twitter – and most other social services – definitely misses filtering. Thanks Lee, this list is great and I am this to my list of resources. This is a great help. Essentially they are good for in the moment stream watching. Great for displaying on a wall during a conference where attendees are likely twittering to a common hashtag. Thanks Josh. 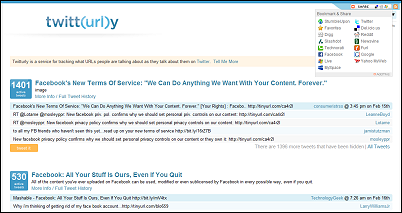 These tools are specifically for Twitter and Spy tracks multiple social media sources. For that kind of monitoring, I like Radian6 or on the free side, whostalkin.com or samepoint.com. http://monitter.com/ is VERY nice, thank you for the heads up. Hey Lee – have any tips for reverse twittering? Hope its warming up for you in MN! I’m not so sure reverse twittering is any different than subscribing to an RSS feed for a source and getting updates when something new is posted. Why use Twitter’s RSS for that when I can just use the RSS feed of the source? Afaik the upper picture to your post is taken from another twitterservice. Just cannot remeber the name! :-/ Twittercircle or so? Can U help? Thanks! 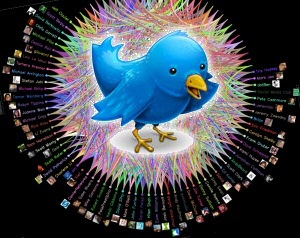 Great article on Twitter stream aggregators. As always, very insightful and useful for Twitter users and microbloggers of all levels of experience. Just when I thought I was beginning to get the jist of twitter, the whole thing evolves again. Anyway, thanks for keeping us all posted. Great list – I’d also add TweetDeck. It’s one of the best! Thanks George. I’m not sure I’d consider TweetDeck an aggregator in the way that these tools filter out tweets. It’s a great tool for following and communicating with your Twitter network though. I see your point. While TD does allow you to organize — and in a sense “filter” out unwanted — Tweets, I wouldn’t classify it as an aggregator. 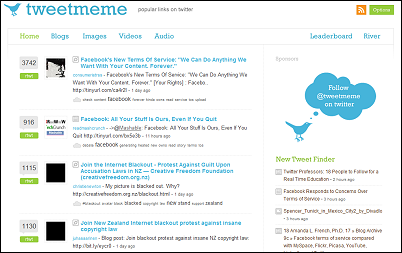 There are so many useful tools for twitter, thanks for sharing this list. I agree tweetdeck is pretty sweet. This is a great list, but I would also like to add my shameless plug. Check out Tweeght(http://tweeght.com). It’s a Digg like Twitter application for sharing your thoughtful tweets and inspirational quotes! You can Vote up and Retweet other tweets very easily. Let me know your feedback @adityakothadiya on Twitter. Came across http://epictweet.com/ startup the other day – saw it for sale at Sitepoint marketplace. Great post – thanks for sharing these tools. Most I had not looked into before. How about Friendfeed as an aggregator – I have found it to be a great way to bringing the streams together in a relevant way. Thanks Matt – FriendFeed is a fantastic aggregator of many types of social feeds. It would be interesting if FriendFeed added some way of qualifying or filtering out items that people share for a top list like Twitturly and Tweetmeme do. I have been using http://www.twitterfall.com and love it. I can put in my terms I want to follow and they come up as they happen. That is great collection. Thanks for that. Lee: If only I had 1/10th of your knowledge I’d consider myself “technolicious”. So help me get started twittering about real estate. This is a great list. I just set up a Twitter account for my company’s blog a few hours ago and did not know it could get so in-dept. Thanks. Thanks. Just the twitter search was handy! Have you seen TwURLed News (http://TwURLedNews.com)? It’s like Twitturly, but is much more selective about the URLs it publishes, based on social network analysis. It has a couple of focused versions, also, for social media (http://TwURLedNews.com/social_media) and web analytics (http://TwURLedNews.com/web_analytics). Great list featuring a lot of Twitter tools I didn’t even know existed! Here’s one site I recommend to find some new people to follow: Twubble (http://www.crazybob.org/twubble/). What it does is check the followers of those you follow to generate a list of people who you may want to follow. Well worth trying. Thanks for the list of resources. Checking out a couple as soon as I send this off. Great article Lee. I also learned a lot from the comments. Hi Lee, excellent list, will keep me busy for a while checking them all out! Here’s one to add that was just released this week – tweetcloud.net — it’s a bit like retweetradar but what I like about it is that you can also see a tag cloud for a particular user, kinda cool.